● Print your report or save it as a PDF file. ● Print your savings growth chart or save it as an image. 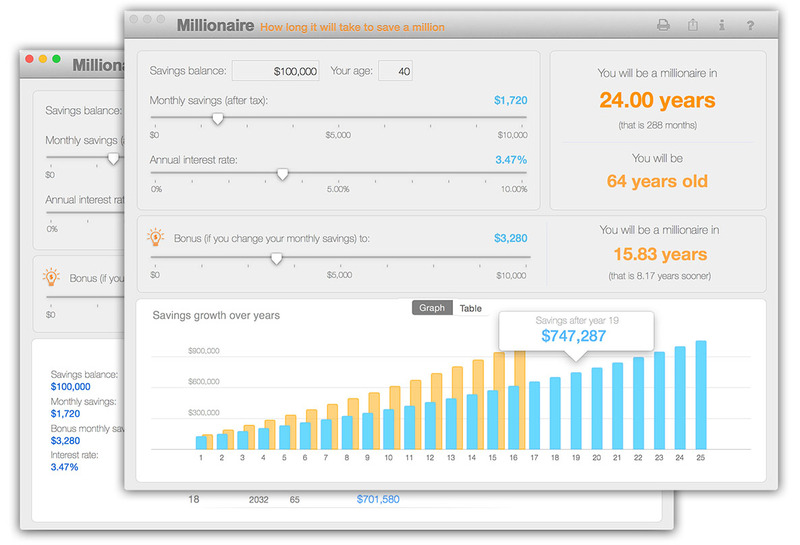 With consistent savings and a decent interest rate on those savings, you might be able to become a millionaire. When will it happen? This app can show you. 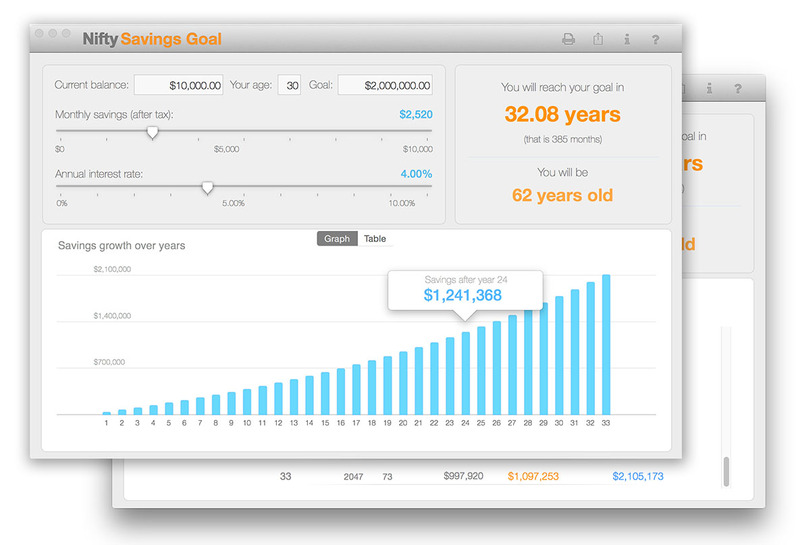 The nice thing about the app, besides quickly telling you how old you'll be when you reach a million dollars, is you can play around with the variables to see how extra savings or stronger investments affect the end result. 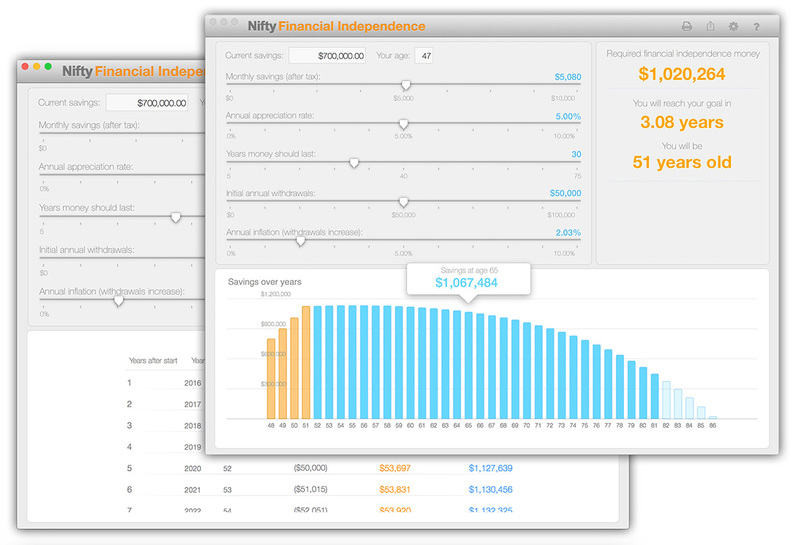 A million dollars might be more or less than you need to save for retirement, but just playing around with this tool could boost your chances of not running out of money after you retire. 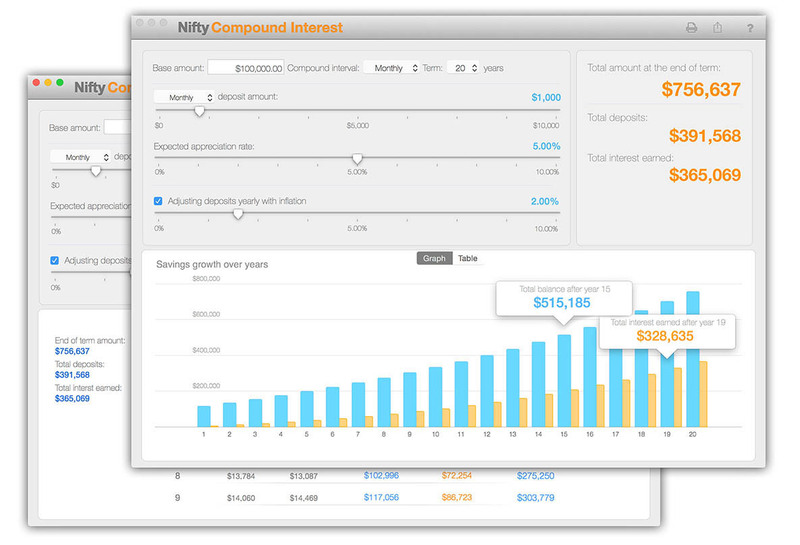 Simply input your current savings, savings goal, the amount you can save each month, and the annual interest rate (return on investment) you expect your savings to grow at. 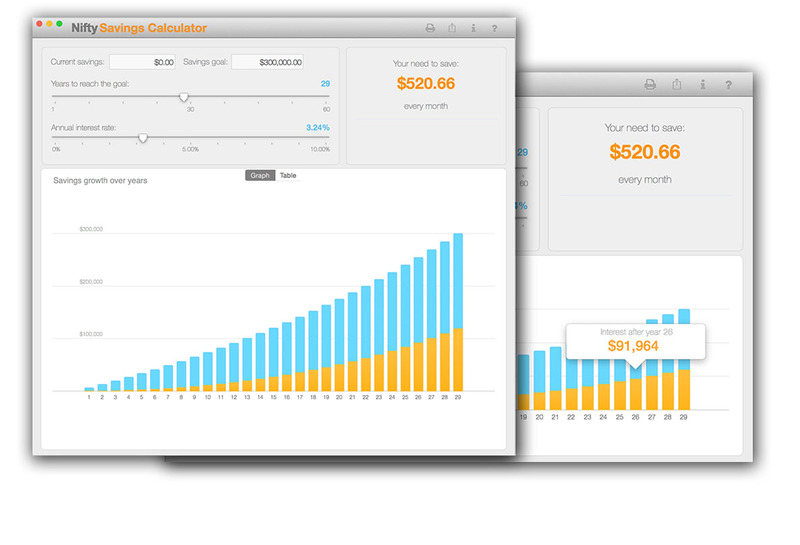 Savings Calculator - figure out how much to save each month to reach your financial goal.